Имате въпрос към Ocean View Hotel? Построен през 1985, Ocean View Hotel е важно допълнение към Bentota и разумен избор за пътуващи. Вълнуващият център на града е само на 0.5 km оттук. С удобното си местоположение хотелът предлага лесен достъп до всички градски забележителности, които задължително трябва да се видят. Възползвайте се от богатството на ненадминатите услуги и удобства в Bentota. Най-важните съоръженията на хотела са 24-часов рум-сервиз, безплатен WiFi достъп във всички стаи, 24-часова охрана, ежедневно почистване, таксиметрови услуги. Ocean View Hotel разполага с 6 стаи, които са обзаведени с вкус. Много от тях предлагат удобства като стойка за дрехи, огледало, личен вход, хавлии, достъп до интернет (безжичен). Хотелът предлага прекрасни развлекателни съоръжения, такива като наем на екипировка за водни спортове, уиндсърфингът, гмуркане, риболов, масаж, които ще направят престоя ви незабравим. Открийте интригуващата комбинация от професионално обслужване и широка гама удобства в Ocean View Hotel. Отседнахме 13 вечер/и в юли 2016 г. 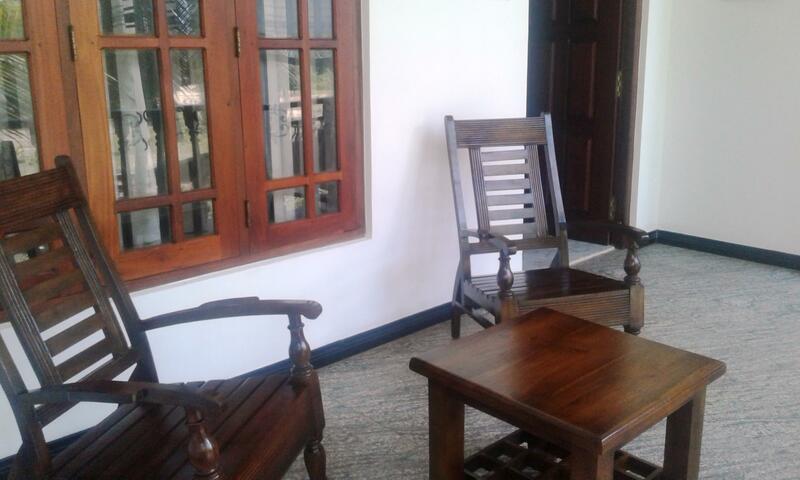 My wife and I stayed for one night at Ocean View before going to Unawatuna. We flew in very late and hopped the first train going to Bentota. The hotel was very keen to please and kept in communication voa email about pick up from the train station. We were very tired when we arrived (very early) and thought they'd only let us drop our bags off but were very surprised that they were hapoy to give us an early check in which really helped is out. The room is very tidy and nice. It has a nice big bed with mozzie net. One small problem was the extra tables and cabinet in the room. 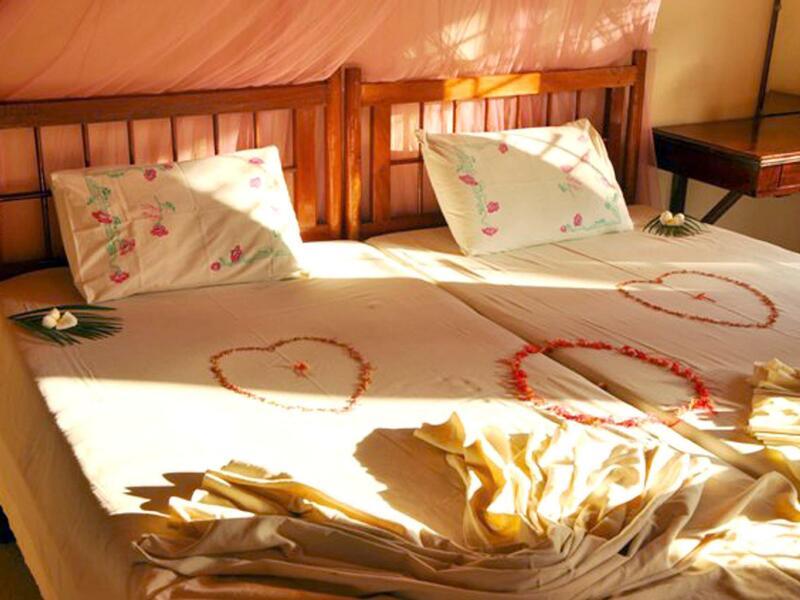 They look very nice, but it's almost too small for two people having the furniture and the big bed. The bathroom was very clean with sheik , modern facilities. Ceiling fan helped a lot as it was pretty hot without A/C. Breakfast was basic but good. Unfortunately, we weren't told about the Sri Lankan option until too late (you have to specify the night before), but no biggie. The property sits right beside the train tracks, but it really isn't a problem. We actually thought it was pretty cool to be sitting there with a beer and a train load of people roll by. Plus, on the other side of the tracks you've got lovely greenery leading out to a fantastic beach. Overall, we felt it was very good value for money and the people were really friendly. We would definitely go back again. Room so close to the rail. The ocean view hotel is a very nice place to stay. 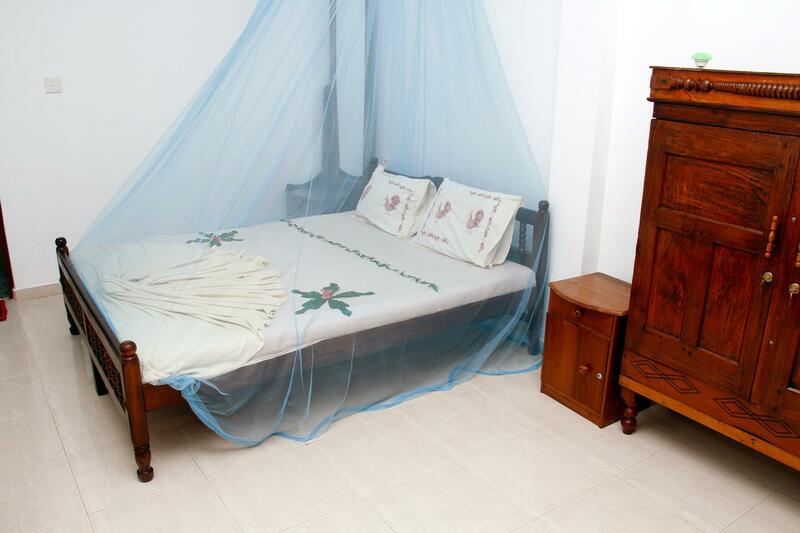 It is absolutely clean has spacious rooms and super friendly and helpful staff. We really enjoyed staying there. There are two seperate houses. The one nearer to the beach is right beside the train tracks. From the other one you do not have an ocean view but therefor you will get a better sleep I think. The beach is beautiful with a few bars and restaurants but not overcrowded. One of the few places in Sri Lanka where internet conecction was really good. We had a good and clean AC room with nice with on the sea and therefore also the train tracks. There are other rooms without ac available,too. It is a little outside of town, which was really great as there was also noone at the beach. The beach itself has beautful sand, is wide and the bay is many kilometer long. We shared thebeach with ~ 50 persons in visual range in May. The food in the hotel restaurant was good, we were mostly the only guests. The choice of other restaurants is limited to ~4 in walking distance. The staff was really friendly and helpful.. There are sunbeds available and some natural shadow. This place deserves 5 stars! It is so close to the beach, serves good food worthy of the $ you are paying, and the staff are always attentive without being intrusive. Wonderful 2 days spent there. 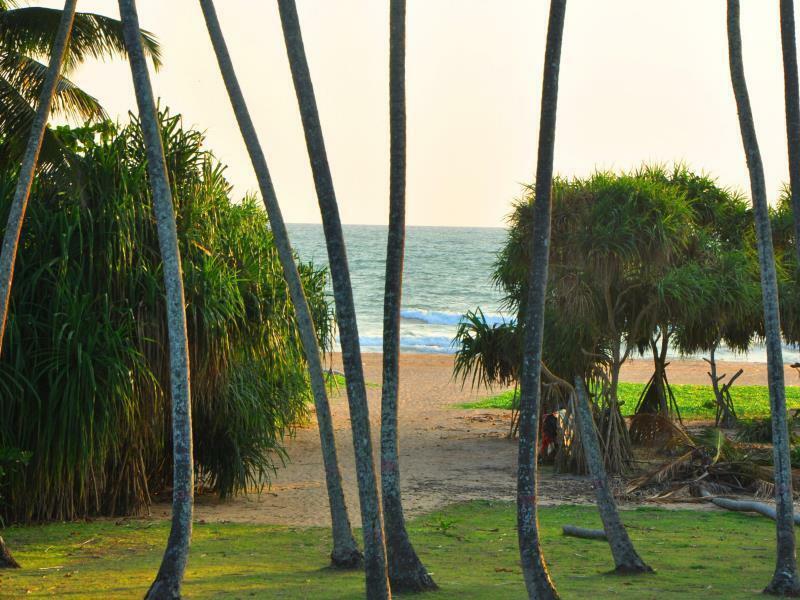 Bentota is amazing and I felt is a much better beach: mile long soft sand without the crowd. Personnel accueillant et disponible. Excellente situation face à une plage immense et déserte. transat à disposition. Excellent petit déjeuner servi dans un cadre agréable. Certes au bord de la voie ferrée mais de voir les trains passer cela créé une ambiance sympathique. Seul regret l'espace où se trouve les transats mériterait d'être plus entretenu. Die Zimmer haben ihre beste Zeit lange hinter sich. Sie sind voll mit mosquitos und Ameisen. Zum Strand sind es ca 5 Minuten fussweg. Zum nächsten Supermarkt ca 25Minuten.